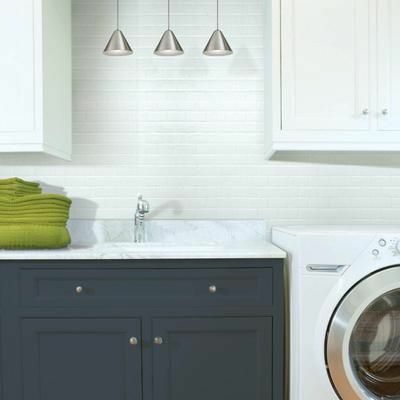 Adding a flashy backsplash is one of the best ways to help transform your kitchen, and, especially, to take the emphasis off of countertops that might need updating or cabinets in need of an overhaul. It could also inspire you to make those other needed changes. But the hassle of working with tile and stone and dealing with messy thinset and grout – or paying someone to do it for you – often wins out over going for it. But there’s another solution to slopping adhesive on the wall. Peel-and-stick tiles! Yes, you actually peel off the backing and stick them to your wall, or even to existing tile. And they stay there, until you want to peel them off and put something else up. 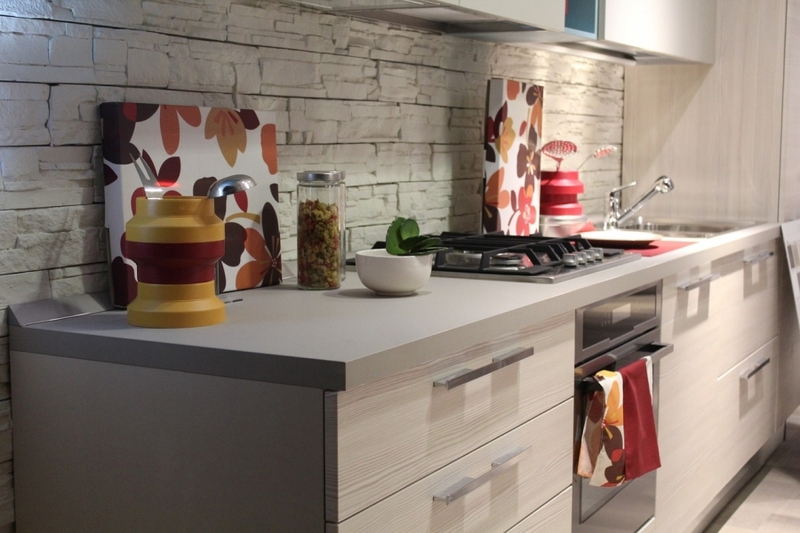 If you can place a sticker, you can tile your kitchen. Now, peel-and-stick tiles aren’t entirely new. 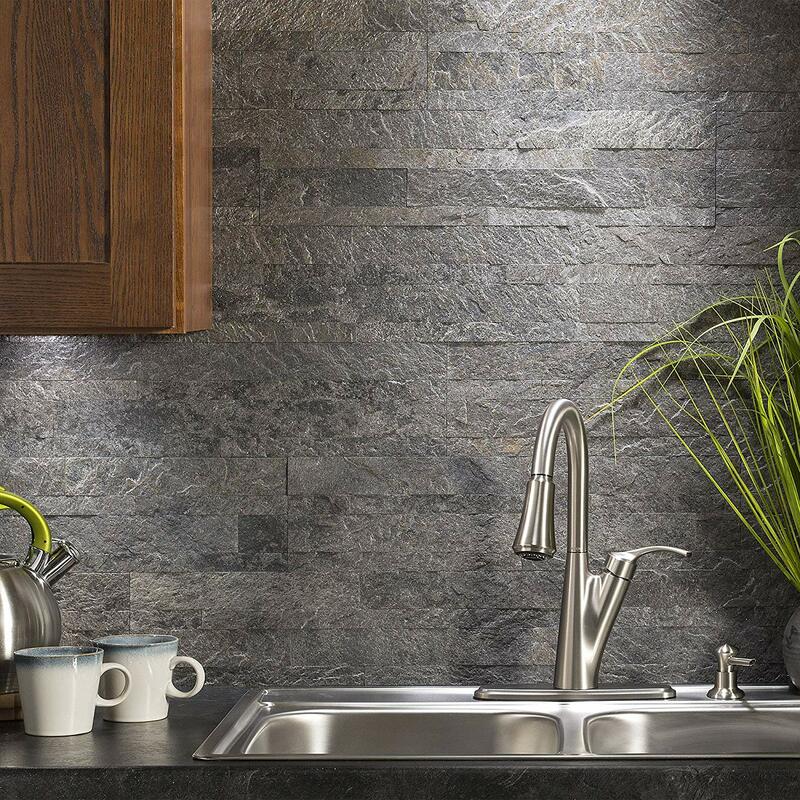 We’ve written about them before, but with so many great shapes, sizes, colors, and textures being offered now, there’s no excuse for not having a beautiful backsplash, no matter your style. You don’t have to stick to white. 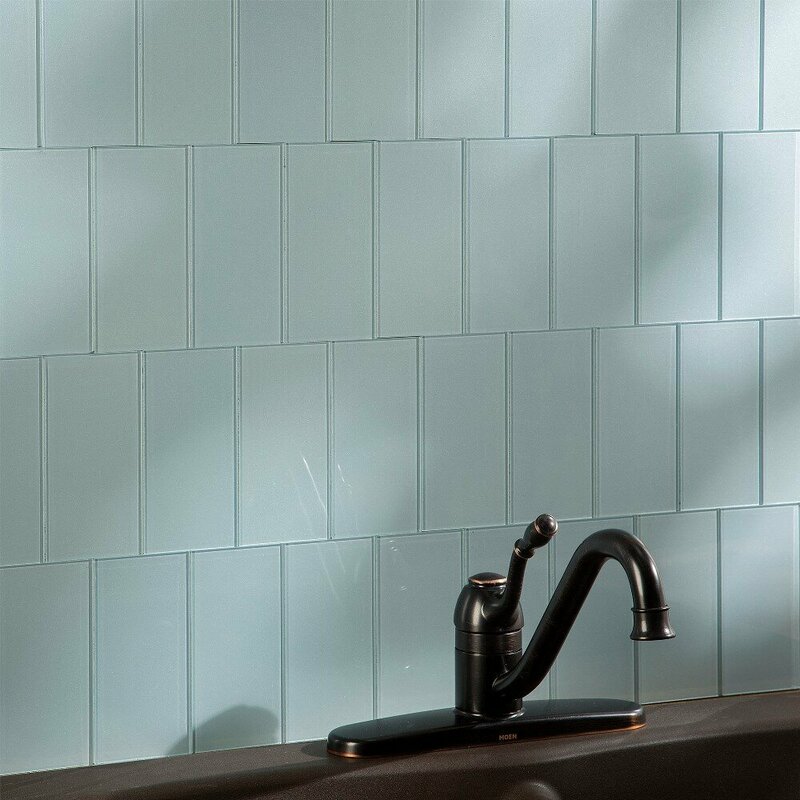 This peel-and-stick subway tile brings a little added interest with color, and the glass texture. Subway Marbellagives the look of rich marble in the subway shape that’s so popular. Herringbone brings instant style to a space, and the brushed bronze color of this Aspect peel-and-stick tile introduces a bit of glamour. 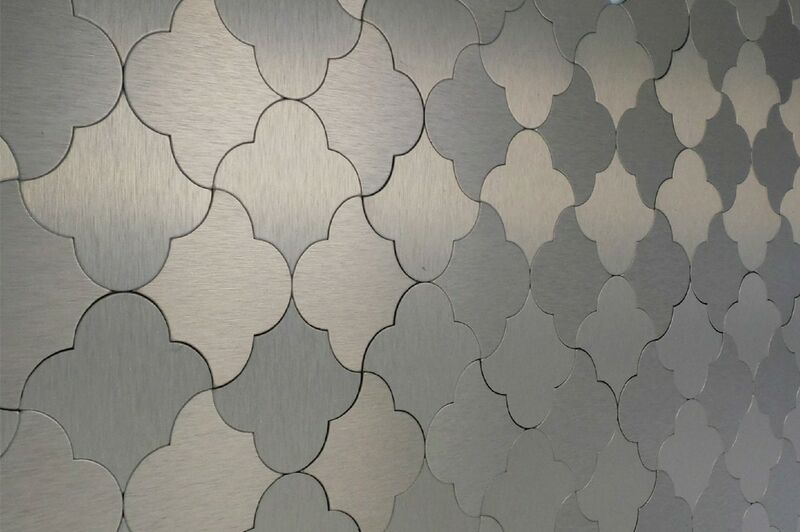 Or take on the metallic trend with these Salerno Mosaic peel-and-stick tiles. They come in a variety of metallic finishes and shapes. Want a more rustic look? This splitface slate peel-and-stick tilebrings in a cabin or resort vibe. 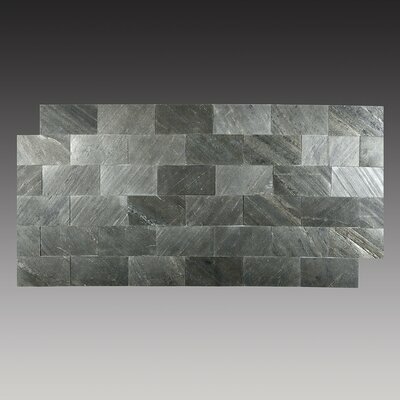 The splitface tile also comes in gray tones, offering a mix of contemporary hues and rustic texture. 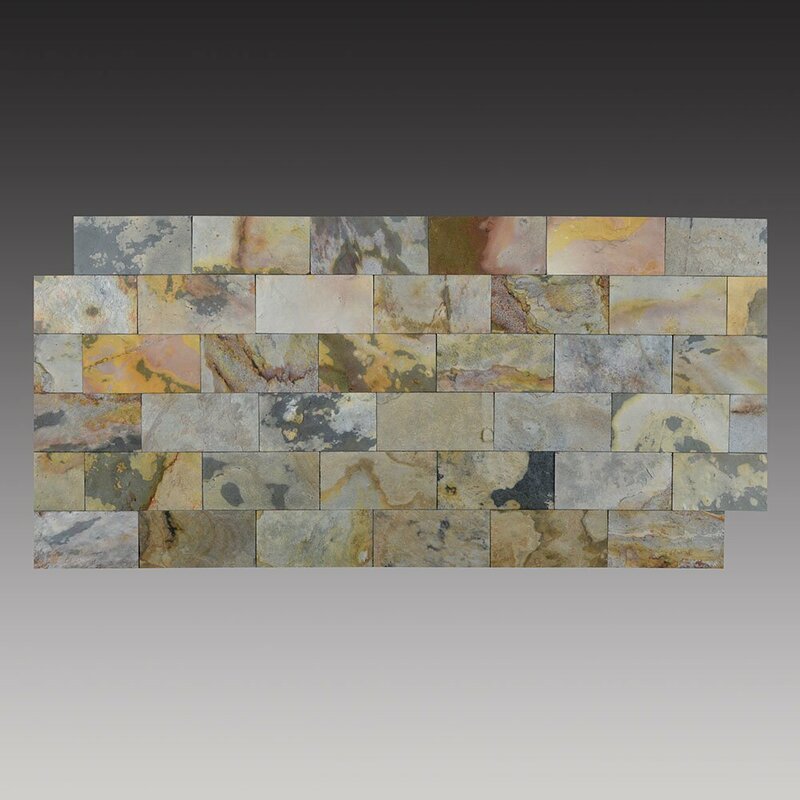 This Aspect Frosted Quartz Peel and Stick Stonegives you the look of real stone with great texture and metallic accents, and comes in a variety of colors. 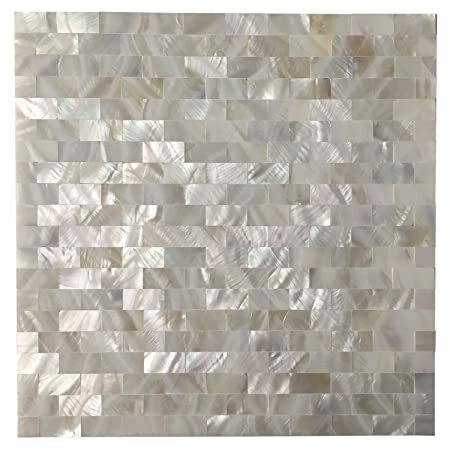 Mother-of-pearl peel and stick tile is perfect for dark areas like kitchens with minimal light. The reflective surface bounces light around the room, helping the space to look larger. amazonIt also comes in shell tones.